Pioneers in the industry, we offer vertical carousels from India. We are considered as one of the leading manufacturers and suppliers of excellent quality Vertical Carousels. This wide range of vertical carousel is manufactured employing high-end technology and quality components as per with industrial norms. 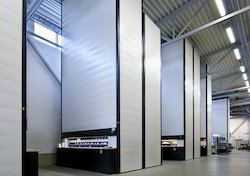 The entire range of vertical carousel is suited for stocking up goods with a high access frequency. Looking for Vertical Carousels ?